The lion and lamb crafts are so cute! They would make a great bulletin board! 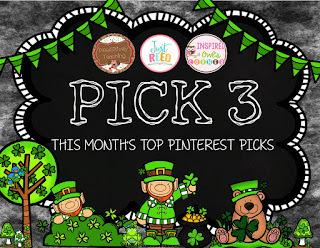 Thanks for linking up and sharing such great pins! Thanks for linking up some great pins! I have made the lion and lamb but then stapled the plates together so they were reversible. Hanging from a bulletin board, we turned them represent the kind of day it was! Of course we always wanted to see that cute lamb! Happy Spring!